Data transmitting and receiving equipment with WMC6300 MOTOMESH network card for vehicles. 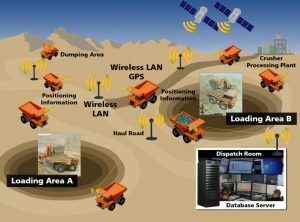 Wireless mesh network solution used in the project named "Fleet management system" which was implemented in coal mine of Baganuur JSC. KRM LLC is also the official partner of Rajant Corporation in Mongolia.